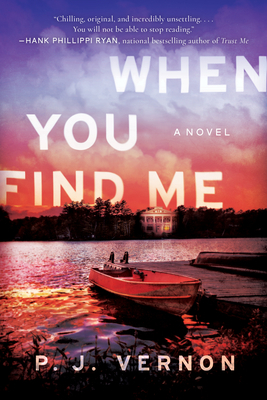 For fans of S. J. Watson and Gillian Flynn's Sharp Objects, comes a chilling look at marriage and madness from a talented new voice in psychological suspense. Visiting her family's South Carolina estate, socialite Gray Godfrey wakes from a night out to an empty bed. Her husband Paul is gone and a thrashing hangover has wiped her memory clean. At first, she's relieved for the break from her tumultuous marriage; perhaps Paul just needed some space. But when his car is found abandoned on the highway, Gray must face the truth: Paul is gone. And Gray may not want him found. When a stranger named Annie calls claiming to know Paul's whereabouts, Gray reluctantly accepts her help. But this ally is not what she seems: soon Annie is sending frightening messages and revealing disturbing secrets only Gray could know. As Annie's threats escalate and Gray's grip on reality begins to slip, the life she thought she had and the dark truth she's been living begin to merge, leaving an unsettling question: What does Annie want? And what will she do to get it? P. J. Vernon was born in South Carolina. He holds a PhD in immunology and published science before turning his hand to publishing fiction. P. J. is an insatiable reader of suspense and domestic noir. His writing--and love for all things unsettling--is influenced by the works of Gillian Flynn, S. J. Watson, and the late A.S.A. Harrison. Apart from spinning tales of dark secrets or terror in suburbia, P. J. is an active member of the Imaginative Fiction Writers Association (IFWA) and the Alberta Romance Writers Association (ARWA). He lives in Canada with his partner and two wily dogs.